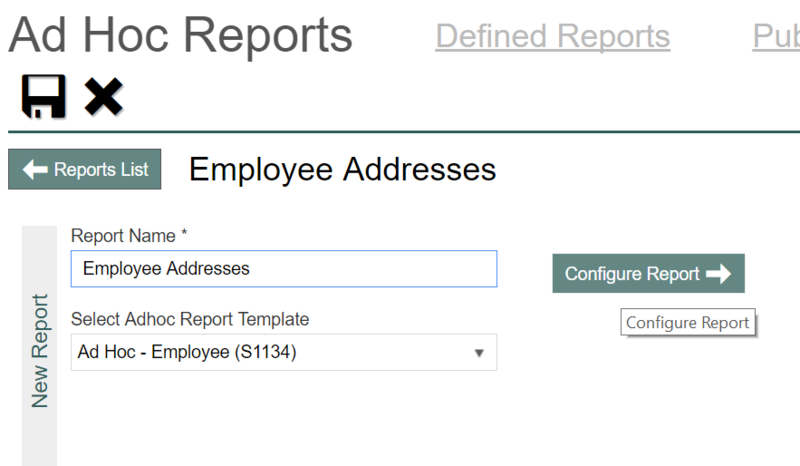 Evolution Payroll has three types of report modules to compile, review or extract your data. 1. Defined Reports are most often used when trying to compile data to review. 2. Published Reports are report copies that were created as a payroll was processed; similar to printed/emailed versions you might be accustomed to receiving. 3. Ad Hoc Reports allow you to create custom reports on the fly; they can pull data from three areas: company level data, employee level, and payroll data such as earnings/taxes/deductions. Ad Hoc reports have a bit of learning curve to them, see this brief intro to Ad Hoc Reports or view this full video covering Ad Hoc Reports.